Roger Ver is the World’s first Investor in Bitcoin startups including Bitcoin.com , Blockchain.com , Z.cash , BitPay, Kraken, Purse.io. Bitcoin is a cryptocurrency and a digital payment system invented by an unknown programmer, or a group of programmers, under the name Satoshi Nakamoto. It was released as open-source software in 2009. According to a research produced by Cambridge University in 2017, there are 2.9 to 5.8 million unique users using a cryptocurrency wallet, most of them using bitcoin. 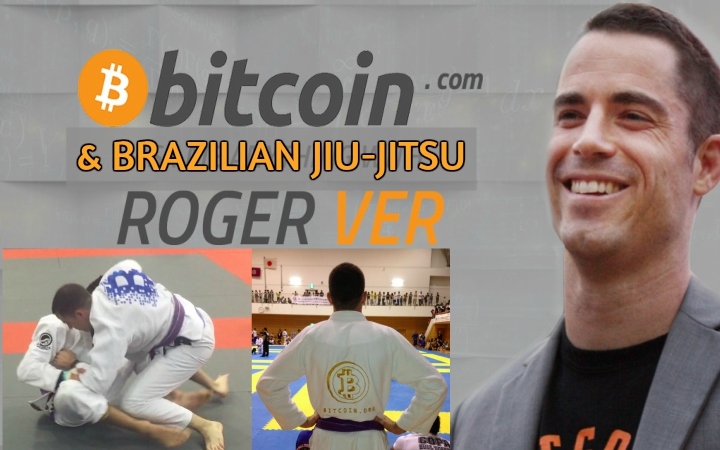 While many of us know about his involvement with Cryptocurrency, Roger’s other passion in life is Brazilian Jiu-Jitsu which he has been involved in for over a decade. He trains daily and competes at a high level in BJJ (including a few times in the world championships) and holds the rank of brown belt which is considered a huge achievement in BJJ, since black belt usually takes 10-14 years to achieve. We asked Roger to share with us his love for BJJ and of course, Bitcoin and to see if there was anything in common between these 2 fascinating aspects of his life. 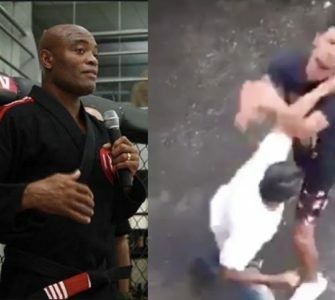 -Hi Roger, can you please introduce yourself to the worldwide bjj community? I’m a 38 year old BJJ brown belt, former American living in Japan for over a decade, and I’m also known for being the first person in the world to start investing in Bitcoin startups. I’m currently the CEO of Bitcoin.com. Privately I’m also very interested in economics and the philosophy of voluntaryism. For those that don’t know, the idea behind voluntaryism is that all human interactions should be by voluntary mutual consent, or not at all. Voluntaryists don’t make exceptions for groups of people calling themselves governments. -Roger, what is your BJJ story? How did you start training? I wrestled in jr. high and part of high school, and have been a UFC and Pride fan since the earliest days of both organizations. 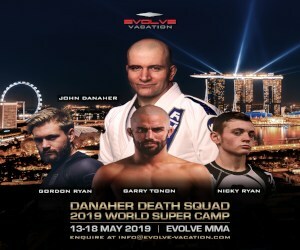 I remember being amazed by Royce Gracie in the early UFCs when he would use the power of Jujitsu to easily submit bigger and stronger opponents. 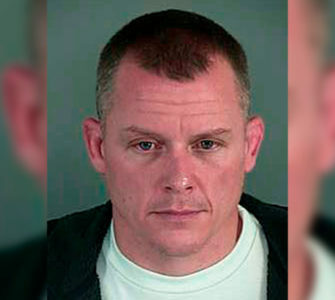 Later I found myself enjoying watching the ground game in MMA more than the striking. In my very late 20s I started to gain a little bit of weight around my mid section. I knew I didn’t want to become the stereotypical fat American, so some exercise was in order. I instantly knew that BJJ would be way to go, so I found a local gym and fell in love with the sport right away. Watching BJJ is fun and interesting, but doing it is a thousand times more fun and interesting. -You have described BJJ as one of your passions in life along with Bitcoin. How often do you train (and where) and what does BJJ represent to you? When time permits I like to train 5 or 6 days a week. Before Bitcoin took over my life that was easily achievable. Recently 2 to 4 times per week has been more common although I hope to increase that again later this year. My favorite class is the “competition class” that consists of nothing but 90 minutes of sparring, and only purple belts and above are allowed. -You have also competed at the highest level in BJJ (worlds) how do you describe the feeling? Competing in worlds is hard, but if it wasn’t hard, it wouldn’t be fun. Achieving something difficult is much more fulfilling than just doing something that everyone can do. I suppose that is part of what attracted me to Bitcoin as well. Helping something grow supplant the U.S. dollar isn’t easy, but sure will be rewarding if accomplished. -How would you describe your bjj style/game? I enjoy playing a strong passing and top pressure game, but I also have a strong closed guard game as well. Playing open guard is definitely my weakest position. Recently I’ve been in love with finding wrist locks from all sorts of positions. 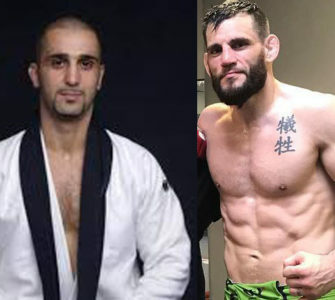 -Who are some of the BJJ personalities that you look up to? I’ve had the opportunity to meet and train with quite a few BJJ celebrities. It is really a wonderful sport where everyone is so approachable. They aren’t all strictly BJJ people, but I’ve been lucky enough to meet Royce, Rickson, BJ Penn, Andre Galvao, Marcelo Garcia, Genki Sudo, Caol Uno, and many others. All of them were so nice, and took the time to talk about various things and pose for photos. Special thanks to BJ Penn for being so kind one evening in the Honolulu Airport many years ago. 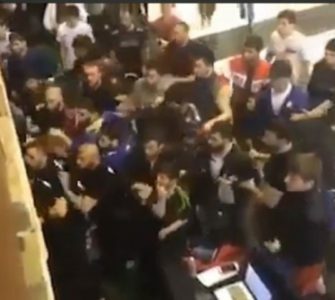 -What similarities do you see between the BJJ and Bitcoin communities. This was the hardest question for me to answer. I suppose the biggest similarities is that they are so diverse. Just like in BJJ, Bitcoin now has people involved from every walk of life. There are Ph.D computer science professors doing both Bitcoin things and BJJ, and there are people who just want to smoke pot involved with both. 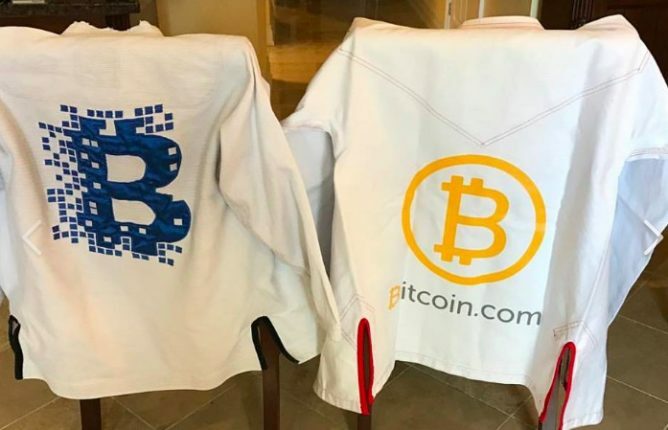 Bitcoin doesn’t discriminate, and neither does BJJ. -What future do you see for Bitcoin and Cryptocurrency? A few hundred years ago anyone who said that there should be a separation of church and state was laughed at. Today most people who say there should be a separation of money and state are also laughed at, but just like everyone now takes the separation of church and state for granted as a good idea, the same will come to pass with money and state. We are just a few short years away from seeing the days of governments being perceived as the only institution that can issue money coming to an end. I’m most passionate about Bitcoin’s ability to end wars by eroding government’s ability to inflate their currencies, or directly confiscate people’s savings. -How is training in Japan compared to other countries? I’ve traveled a lot and I try to train everywhere I go, so it is interesting to see the differences. In Japan the takedowns are much more Judo based, compared to the USA where I think there is a much stronger wrestling base. I also think I see lots more open guard or spider guards in Japan than in other parts of the world. I also gladly compete in the open weigh divisions for tournaments in Japan because at 76 kg / 167.5 lbs, I’m usually one of the very biggest competitors. In the USA or other places I’d be much more more hesitant to compete in the open weight divisions. The wrestling low single leg. Recently I’ve been playing with wrist locks a lot and I find myself catching them everywhere. I suppose I finish with arm bars and triangles from closed guard the most often when facing an experienced opponent. 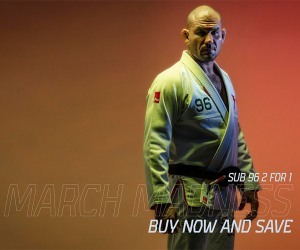 -What is next for you in BJJ in your BJJ journey? If I can take enough time away from working on Bitcoin, I’d like to train hard and compete at Mundials next year as a brown belt. If I wait much longer, I won’t be competitive any longer due to age. -Any last words or shout outs? Special thanks to the BJJ community at large. It is great knowing that I have a group of friends anywhere I travel in the world. I can just show up at the local gym and instantly have a group of people interested in the same sport. BJJ truly is the best way to make friends around the world when traveling. Also special thanks to /r/BJJ for giving me a place to take a break online from Bitcoin stuff. For anyone interested in learning more about Bitcoin, www.Bitcoin.com is the best place to get started. It is completely free, and truly is a world changing technology on par with the invention of the internet itself. BJJEE’s editor published this interview a few days ago originally on www.steemit.com which is the social network of Cryptocurrency users. 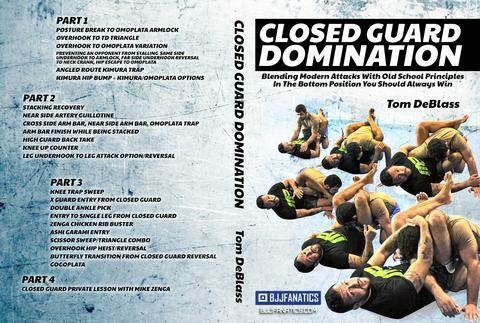 We are now pasting it in it’s entirety here for the BJJ community’s reading convenience.